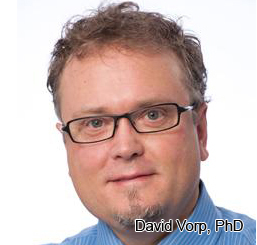 Regenerative Medicine Today welcomes Dr. David Vorp. Dr. Vorp is the Associate Dean for Research, Swanson School of Engineering, University of Pittsburgh. In addition, he is the John A. Swanson Professor of Bioengineering, with secondary appointments in the Departments of Cardiothoracic Surgery, Surgery, and the Clinical & Translational Sciences Institute at the University of Pittsburgh. Dr. Vorp discusses his research in designing a small diameter tissue-engineered vascular graft to treat cardiovascular diseases. For more information about Dr. Vorp, please click here. For Dr. Vorp’s website, click here.